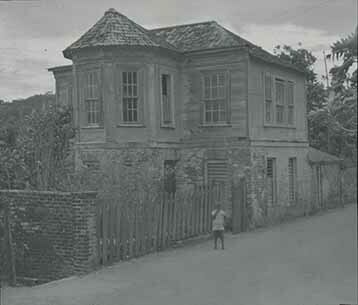 A young boy stands by a two-storey Georgian style dwelling that is made of brick and wood. “St. Ann's Bay,” National Library of Jamaica Digital Collection , accessed April 20, 2019, https://nljdigital.nlj.gov.jm/items/show/5113.